It’s that time of the year, when the only thing you want is to be out with friends, on the beach and enjoying your day at the fullest and why not…in combination with gym! Just because it’s summer, you want to combine them all together- a cold coffee, sunbathing at the beach, and gym. It is called beach volley and it’s the ultimate summer sport. If you spend a little time on beach volley, the energy, the vibes and the joy that this sport gives you back, will stir you up and you will not want to return home! Attacks, block, heat, roll shots, points and well shapes bodies are what characterize our favorite sport. Players make it seems so easy but it’s not. It is complex yet difficult as it combines strength, explosion, speed, strength and quick thinking. Do not be afraid because nobody expects from you to become Mr. Skyball. You can just try out the net. All you need is a swimsuit a ball and a desire for uninterrupted jogging and diving, I’m sure you'll have fun! 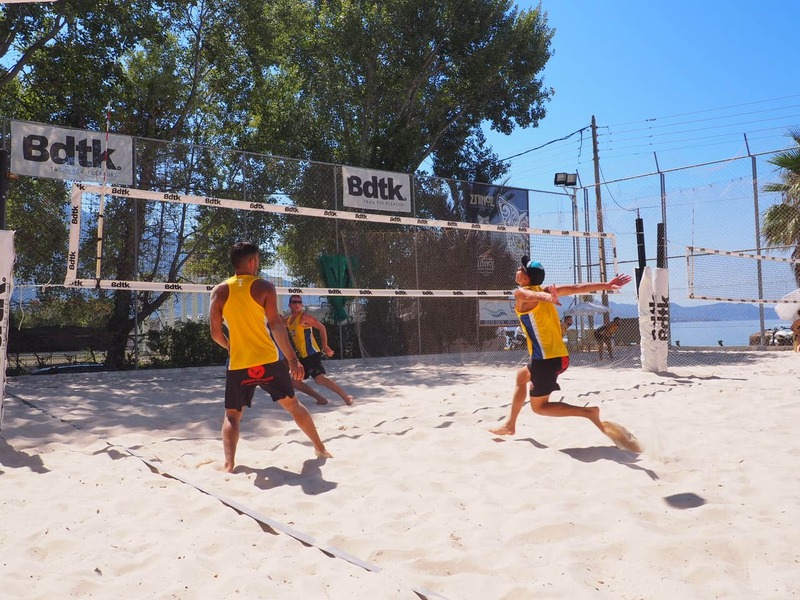 The holding of such a tournament that took place for the second consecutive year was held by KVB (Kalamata Beach Volley) and was completed recently. The Bodytalk Open Pan-Hellenic Championship took place in the modern facilities of KVB by the beautiful coast of Kalamata and was loved by people from all ages and many were the ones who left their spot on the beach to watch the contestants. 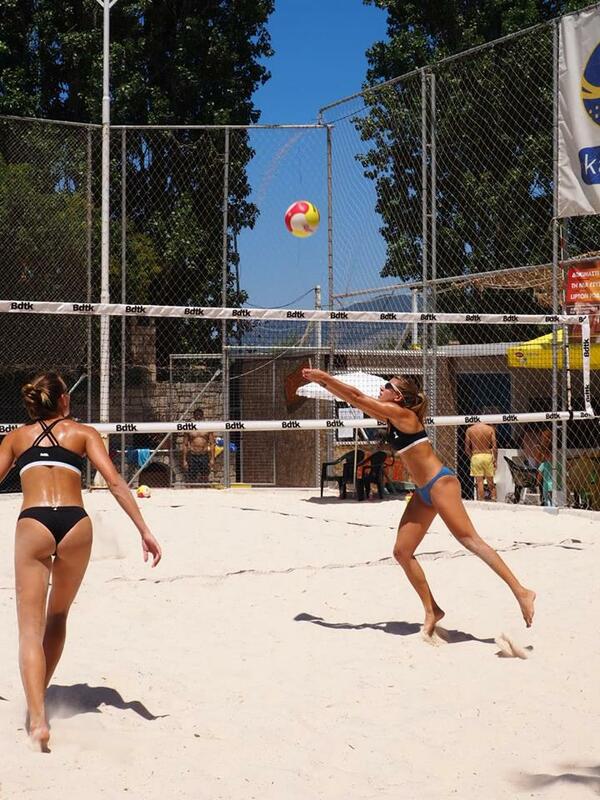 In addition to stunning bangs, blocks and dives in the sand, Beach Volley is fun. With loud music, summer mood and a frozen tea in hand, people seemed excited to enjoy the development of the game. The next time you must be there! Until then… "Train for pleasure". P.S. Sky Ball: An underhand serve that sends the ball high over the net and straight down.